Rivers of Light is a nighttime show at Disney’s Animal Kingdom. The show was set to debut on Earth Day; April 22 2016, but due to issues the opening was delayed. The show is based around light and the glow of the world around us. Lanterns, fireflies, and animal spirits all dance around on top of the water. The story itself involves a tiger, turtle, elephant, and owl. On top of the pond where the story takes place, the 4 animal floats transform to take on the shape of each animal. With the help of projections, music, and water; the show brings the spirit of these animals to life. Disney states, “you are transported across Asian jungles and tropical oceans to African savannahs and North American mountains”. The show provides an inspirational message about being one with nature. 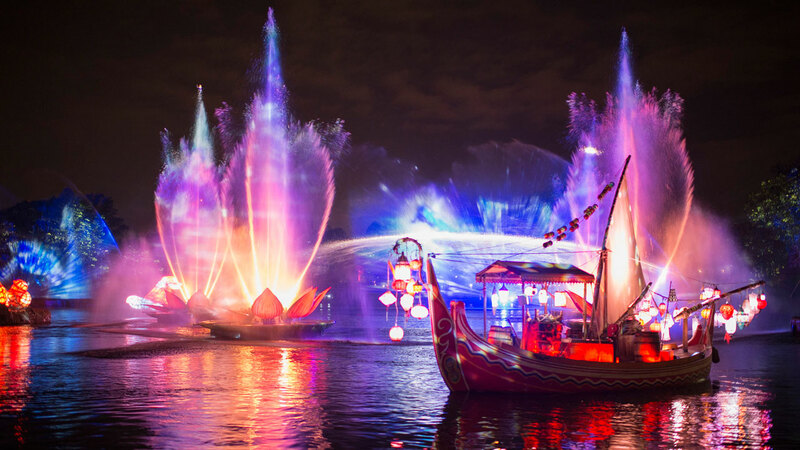 Rivers of Light… Just Alright? Cast members share some insights on what they felt when watching Rivers of Light for the first time. The show is leaving the river to make way for Rivers of Light coming later this year. Several new shows and attractions will make their debut on Memorial Day weekend.